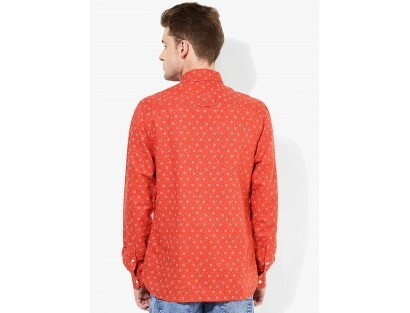 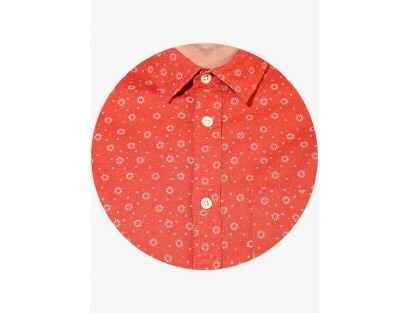 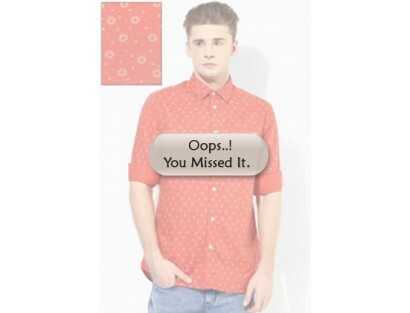 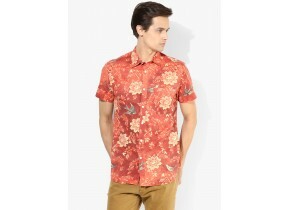 It’s time to make a distinct style statement wearing this orange colored casual shirt from Jack & Jones. 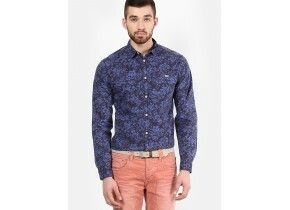 The contrast colored print all over and a front pocket make this full-sleeved shirt a must-have in your wardrobe. 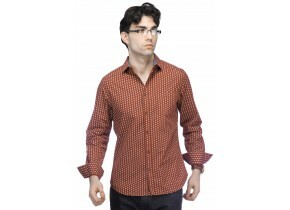 Made from linen, this regular-fit shirt is extremely lightweight and soft against the skin. 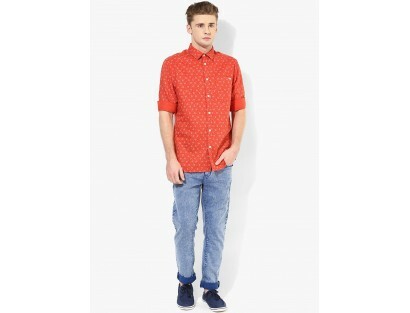 It can be best teamed with a pair of contrast colored trousers.